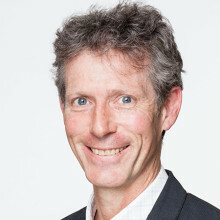 Scott McQuire is Professor of Media and Communications in the School of Culture and Communication at the University of Melbourne and Deputy Director (Research) at the University's Networked Society Institute. He is one of the founders of the Research Unit for Public Cultures which fosters interdisciplinary research at the nexus of digital media, contemporary art, urbanism, and social theory. His research explores the social effects of media technologies, with particular attention to their impact on the social relations of space and time, the formation of identity, and the functioning of contemporary cities.